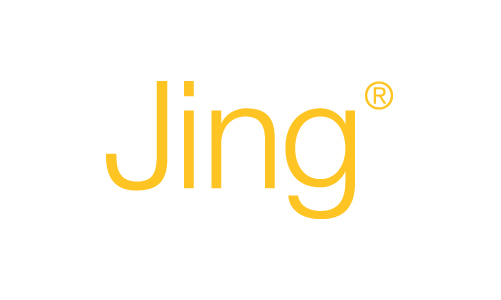 Jing is the always-ready program that allows you to instantly capture images and video. I have been using it for screen captures only. The video presents a problem as it only saves files in Flash (.swf) format. These won't load to YouTube. But, this program is worth using just for the screen capture capabilities and it's FREE. After you install the program it resides as a sun shaped icon at the top of your computer screen. When you need it, simply hover over the image and the tools are quickly at hand. I use it to capture bits of the screens I'm using for insertion in instruction sheets, for relaying to users when troubleshooting or assisting them with technical questions. You simply click on the capture tool and you get a grid that you click and drag over the screen to capture the exact bit you wish to use. This can then be copied into any other program and saved in whatever format you wish. Other features offered with the screen capturing, include being able to highlight, frame, colour, add arrows and text over the images. These are great tools when preparing instructional handouts. Worth trying! There's a tutorial here; and you can click here to download your free copy. Imagine this.. you are walking through a pretty park with the kids. Suddenly, you see some signs. The kids run over and start to read, then they start to jump and run in big zig-zags. Well, you don't have to imagine too hard, because that is exactly what happens when you experience StoryWalk. What is StoryWalk, you ask? In Bridgetown's Jubilee Park and at the Community Park in Port Williams, you can see for yourself. And we have a few sets of StoryWalk that can be loaned to community groups in the Valley, as well. StoryWalk was originally conceived of and implemented in Vermont. 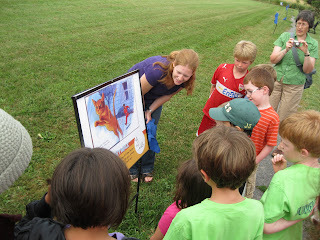 In a nutshell, StoryWalk is a picture book on signs that are placed along a walking path. Here in the Annapolis Valley, our book is Juba This, Juba That by Helaine Becker and illustrated by Ron Lightburn. Lightburn lives near Kentville, and has been a great supporter of the project, as has the publisher, Tundra Books. The project was made possible by grants from the Wellness Initiative Fund from the Community Health Boards, and by Active Kids Healthy Kids. How can you go wrong with a book and active play wrapped up in a public art display? StoryWalk combines literacy, art, active fun, and time spent outdoors. There's nothing more satisfying to a children's librarian than seeing a group of children (and adults) running, jumping, and singing as they enjoy a book outside in the park. 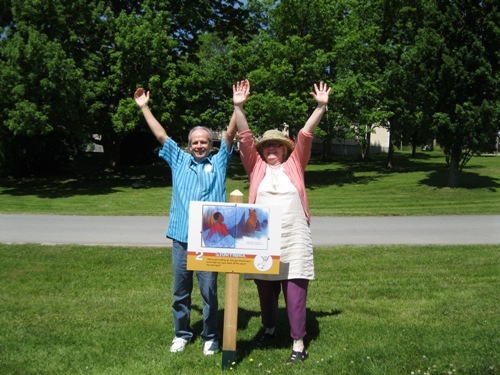 If you haven't had a chance to see our StoryWalk, make a point of visiting Bridgetown or Port Williams this summer. You can even win copies of the book by filling out an evaluation form. Bring the kids and enjoy a day at the park! If I haven't convinced you yet, take a peek at this little video to see how much fun it can be. I have been travelling around Nova Scotia this summer taking in the all the wonderful things this province has to offer. I sometimes come across libraries, both big and small, and stop in to check them out. Often I'll see something I want to borrow and thanks to Nova Scotia's Borrow Anywhere, Return Anywhere program, I can do just that. 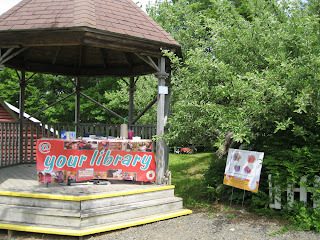 Did you know we can borrow items from any of the 78 public libraries in Nova Scotia and return them at another library? Heck, you can even drop them off at the Seaport Market in Halifax! 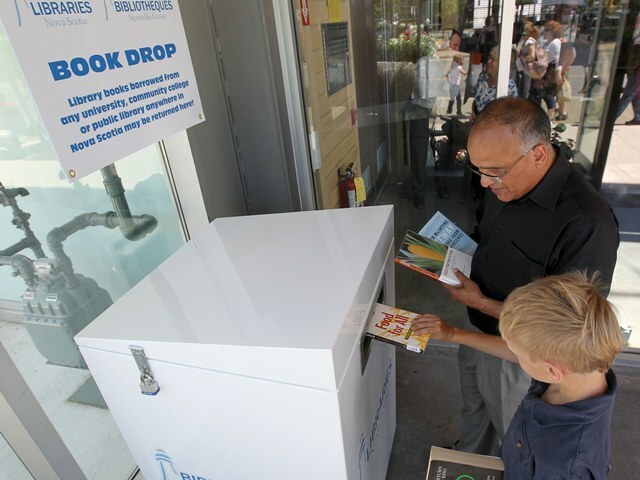 Libraries Nova Scotia just set up a remote book return for the convenience of customers. Did I mention you can borrow from universities and community college libraries as well? There used to be an off-campus library card fee at universities but this fee was eliminated a couple of years ago so the general public can peruse the academic bookshelves as well. So enjoy your library and all it has to offer, wherever it may be! Why is the library writing about Upper Clements Parks? 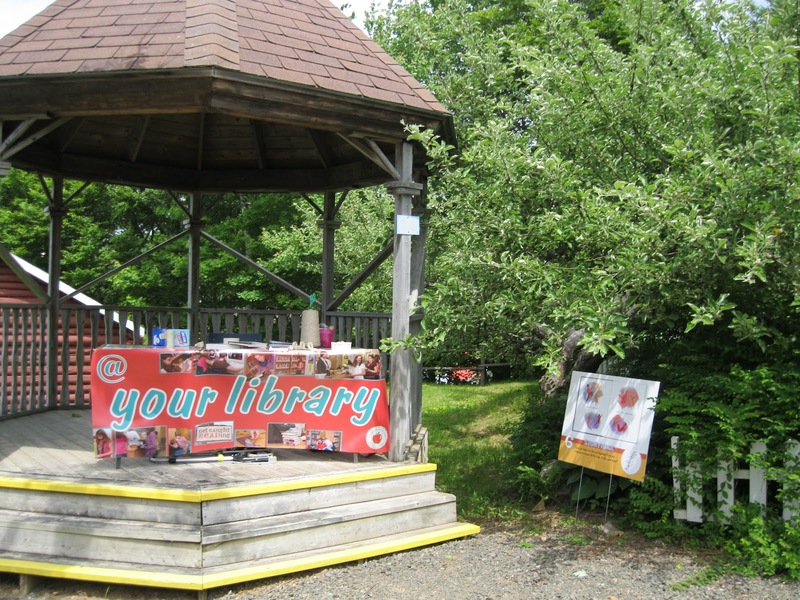 For the past 6 years, the park has been our Summer Reading Club (SRC) partner. 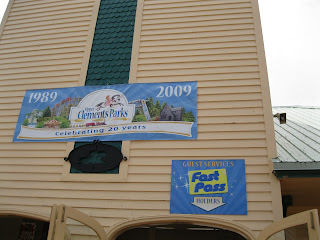 They have very generously donated a FastPass for every SRC participant that finishes their reading goal. For kids, that is 10 or 20 hours, and for teens, it is 25 hours. The full-price cost of a FastPass is $28.50 plus tax. Last year we gave out 1,934 passes to readers across the Valley. You do the math – that is a big donation, and we certainly do appreciate the support that Upper Clements Parks has given us to make our Summer Reading Club so popular! My tips for those who are coming for the first time? Bring plenty of water and sunscreen, and plan to take breaks, especially if you have young children. Get one of the maps when you enter the park and plan your day. Explain to your kids that there are height restrictions on some rides, so the littlest won't be able to go on everything -- doing this beforehand might save a few tears. Wear comfy clothes, and good walking shoes because you'll be doing a lot of that! There may be long lines for the most popular rides; bring a book to read aloud while you wait. There are water attractions, so bring a towel or a change of clothes if you don't want to walk around dripping. Make a big deal of the fact that your children earned this reward by reading -- they should be proud! And don't forget to have fun. So finish up that Summer Reading Club reading, and get your SRC FastPass before August 18 (that's when our Summer Reading Club ends, not when the park closes for the season). Come see us at Word in the Park on August 18 and 19, when you can do a Scavenger Hunt in the Park and win a book, as well as do our StoryWalk. You can find out more about the park by visiting their website. See you in the park!